Augustin Abdoulaye Thiam Houphouët (born 14 August 1952) is a Ivorian politician. Since 2011, he has been the governor of the Yamoussoukro Autonomous District. When Thiam was young, his father was government minister and the ambassador to Morocco. Thiam is also the grandnephew of Félix Houphouët-Boigny, Ivory Coast’s first president. Thiam was trained as a medical doctor at the Université de Cocody and worked in public hospitals until 1989. He moved to Paris where he worked as a journalist. He returned to Ivory Coast in 1993 after the death of Houphouët-Boigny. In 1995, Thiam was appointed as the leader of the government’s committee to combat illegal drug use. In 2003, Thiam joined the Rally of the Republicans and began to oppose President Laurent Gbagbo. In 2010, he was the head of Alassane Ouattara’s campaign for president in the Yamoussoukro area. In 2011, after Ouattara had won the election and succeeded Gbagbo, Thiam was appointed governor of the Yamoussoukro Autonomous District and was made a member of the national cabinet. Thiam was appointed to a second term by Ouattara in 2015. The capital of Ivory Coast is Yamoussoukro, which has a population of 355,000, which makes it the country’s 4th most populous city. The official language is French. The main other languages are Yacouba, Senoufo, Baoulé, Betie, Attie, Agni and Dioula. The currency of the country is the “Franc C.F.A.” C.F.A stands for Communauté Financière Africaine which is a common currency used in former French colonies in Africa. But there are two sorts of C.F.A. One in Central Africa and another in West Africa where the Côte d’Ivoire (also known as Ivory Coast in English speaking language) is. This currency is used in eight (8) countries (Côte d’Ivoire, Senegal, Burkina Faso, Mali, Niger, Togo, Benin and Bissao Guinea). In Côte d’Ivoire, there are many banks some of which are agencies of the main French banks. There are several new banks which are Nigerian based, and some Ivoirian banks. Credit cards are now accepted in nearly all the banks, and there is a wide network of ATMs (aka DAB or Guichet Automatic). Credit and Debit cards (however not Amex) are widely accepted in the major supermarkets and hotels, but it is still rare to find smaller establishments, such as restaurants, accepting plastic money. Yamoussoukro is located in the center of the country in the Lake District , 248 km from Abidjan . It is located on flat terrain, covered with a savannah trees and crossed by rivers whose Marahoué and N’Zi , two tributaries of Bandama . The District of Yamoussoukro, between 6 ° 15 and 7 ° 35 north latitude and 4 ° 40 and 5 ° 40 west longitude, is one of the great Lake District . The climate in Cote d’Ivoire is typically tropical along coast, semiarid in far north; three seasons – warm and dry (November to March), hot and dry (March to May), hot and wet (June to October). The terrain: mostly flat to undulating plains; mountains in northwest. For Yamoussoukro in January the daily average maximum temperatures is 31°C with the average minimum 24°C, while in June the average maximum is 30°C with a minimum of 24°C. The wettest month for Yamoussoukro is June with an average of 342.7mm of precipitation falling while the driest month is January with 18.1mm falling. Stone tools found in the country from hundreds of thousands of years ago show that the area around Yamoussoukro has been occupied since ancient times. Due to the desertification of the Sahara, many North Africans moved south for the better climate. Queen Yamousso, the niece of Kouass N’Go, ran the city of N’Gokro in 1929 at the time of French colonization. The village then comprised 429 inhabitants, and was one of 134 Akoué cities. Diplomatic and commercial relations were then established, but in 1909, on the orders of the Chief of Djamlabo, the Akoué revolted against the administration. Bonzi station, 7 kilometres (4.3 mi) from Yamoussoukro on the Bouaflé road, was set on fire, and the French administrator, Simon Maurice, was spared only by the intervention of Kouassi N’Go. This respected former leader persuaded the Akoué not to wage a war that could only have turned into a disaster. As the situation got worse, Maurice, judging that Bonzi had become safe, decided to transfer the French military station to Yamoussoukro, where the French Administration built a pyramid to the memory of Kouassi N’Go, Chief of the Akoué. In homage to queen Yamousso, N’Gokro was renamed Yamoussoukro. In 1919, the civil station of Yamoussoukro was removed. Félix Houphouët-Boigny became the leader of the village in 1939. A long period passed wherein Yamoussoukro, still a small agricultural town, remained in the shadows. This continued until after the Second World War, which saw the creation of the African Agricultural Trade Union, as well as the first conferences of its chief. However, it was only with independence that Yamoussoukro finally started to rise. After 1964, the President Félix Houphouët-Boigny made ambitious plans and started to build. One day in 1965, later called the Great Lesson of Yamoussoukro, he visited the plantations with the leaders of the county, inviting them to transpose to their own villages the efforts and agricultural achievements of the region. On 21 July 1977, Houphouët offered his plantations to the State. 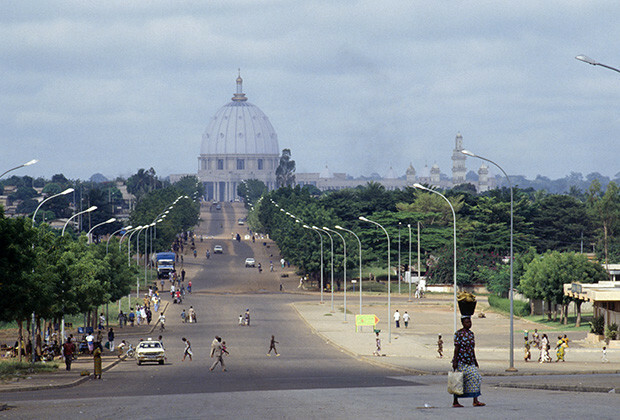 In March 1983, President Houphouët-Boigny made Yamoussoukro the political and administrative capital of Ivory Coast, as the city was his birthplace. This marked the fourth movement of the country’s capital city in a century. 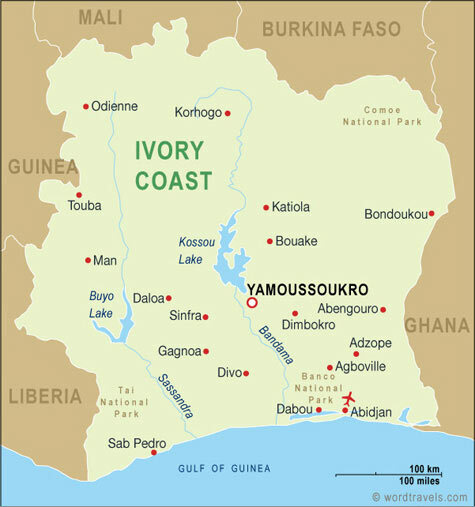 Ivory Coast’s previous capital cities were Grand-Bassam (1893), Bingerville (1900), and Abidjan (1933). The majority of economic activity still takes place in Abidjan, and it is officially designated as the “economic capital” of the country. Yamoussoukro is the seat of Yamoussoukro Department and the neighbouring Bélier Region, but Yamoussoukro itself is not part of the region. Yamoussoukro is one of the most bizarre modern cities on the planet. The capital of Cote d’Ivoire is a sprawling grid of paved streets, but few buildings line them. The former president Felix Houphouet-Boigny dreamt of creating a bustling capital, but his vision for “Yam” never came to fruition. Although the capital’s reality is different from the leader’s hopes, it is still worth a visit to explore its quiet streets. Visitors should use caution though, as recent conflicts have erupted throughout the capital and country. A tall perimeter wall surrounds the Fondation Houphouet-Boigny, the palace where the former leader is now buried. Sacred crocodiles protect the lake on the southern side, and visitors can watch them being fed in the evenings. The only other traditional tourist sight in the city is the Basilica of Our Lady of Peace. The church is the world’s largest Christian house of worship and the most important symbol of Houphouet-Boigny’s legacy. Modeled after the Vatican’s St. Peter’s Basilica, the church holds less worshippers but is structurally larger. Both the dome and the surface area are larger than its inspiration. Pope John Paul II insisted that a hospital be built on site, but the cornerstone he laid upon visiting still stands alone. There is little to do in the capital, but there are plenty of restaurants that serve up some of the best cuisine in the whole continent. 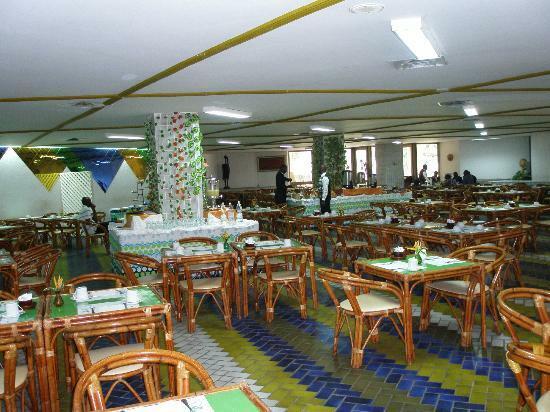 The French legacy of Yamoussoukro means that there are many European restaurants in the city, but there is also an abundance of eateries offering traditional cuisine. While in the city, be sure to indulge in coconut pit, a local favorite served with cocnut milk, steamed onions, tomatoes and ginger. You’ll also find many menus offering kedjenou, a chicken dish, and attiéké, a meat dish made with boiled attiéké cereal with a healthy dose of vegetables and saffron. 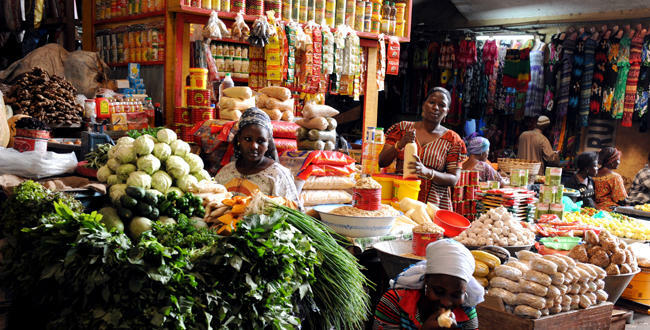 The market place is a great asset to the city offering a diverse range of products ranging from food stuff, fresh vegetables, meat, clothes and electronics. The following information relates to the individual key market in Yamoussoukro. The country’s political instability has resulted in a lack of investment in education, health and other social support programmes which support the population. Children, the most vulnerable members of society, have suffered disproportionately. The mortality rate of children below the age of five is high in the area – this is partly due to the shortage of medical staff and medicines. In addition, many families (especially in rural areas) lack decent housing with access to safe drinking water and appropriate sanitation facilities.Yamoussoukro also has one of the lowest rates of children in education; many families cannot afford to send their children to school. The number of girls attending school is particularly low, as they often have to contribute to the household chores from an early age. Many girls are married young. According to UNICEF data, 20 per cent of girls are married and almost 30 per cent have their first baby before the age of 18. Yamoussoukro has a high number of children who have lost parental care, or are at risk of losing it. Many of these children come from families affected by HIV/AIDS. As parents become unwell, children are often forced to go out to work or try to survive on the streets. Unfortunately there are few forms of support or alternative care for such children. There’s a risk of crime in yamoussoukro, including violent crime, car-jackings, armed break-ins to private residences, hold-ups in the street, and stealing from cars. Weapons circulate freely. These incidents aren’t common, but they do occur. Avoid using public transport, shared taxis, or walking around after dark. Avoid displaying your wallet; for instance, have a coin to hand for tipping supermarket trolley attendants. In vehicles, keep doors locked, windows shut and valuables out of sight. We advise you to exercise a high degree of caution in Côte d’Ivoire due to the unpredictable security environment and the high risk of crime. You should pay close attention to your personal security at all times and monitor the media for possible new safety or security risks. There is a risk of violent crime throughout Côte d’Ivoire, including in the major city of Abidjan, especially at night. Plan road journeys carefully. travelers will find the Mosque and must stop and visit the Palace and Plantations of the President. The stained glass at the Cathédrale Notre-Dame-de-la-Paix will take your breath away.